Elements is an open source library of web UI components for high productivity in small to large projects. It is not “yet another framework” competing in the framework arena; rather, it is a library that integrates with regular JSP’s, with Struts 2 and, in future developments, with other frameworks. The components cover all levels of abstraction: low (single fields), medium (forms) and high (multi-page wizards, integrations with JFreeChart and GoogleMaps, etc.). Elements does not require any xml configuration but uses reflection and annotations to interact with regular pojo’s. This JUG presentation will show how to create a feature-rich multi-page form (see the picture below) in 15 minutes. Participation is free and open to all; if you plan to attend, please register on http://www.jugevents.org/jugevents/event/22798. Note: If you plan to join us for a pizza in a nearby place, please add “(pizza)” to your last name when registering. Corneliu’s samples can be downloaded from his website. The next meeting will take place on the 24th of November. Stay tuned! To be notified of upcoming meetings, you can follow this blog and our news page on jugevents.org (RSS feed). 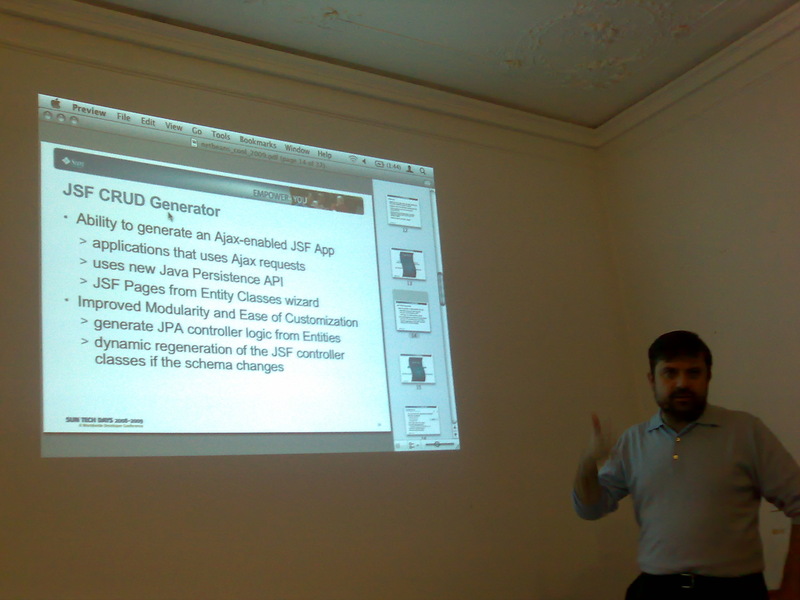 The topics for the next meeting, which will take place on the 20th January 2008 will be announced shortly… stay tuned! A discussion of refactoring and design issues will follow. Participation is free and open to all; if you plan to attend, please register on http://jugevents.jugpadova.it/jugevents/event/show.html?id=4575. Note: If you plan to join us for a pizza in a nearby place, please add “(pizza)” to your last name when registering. 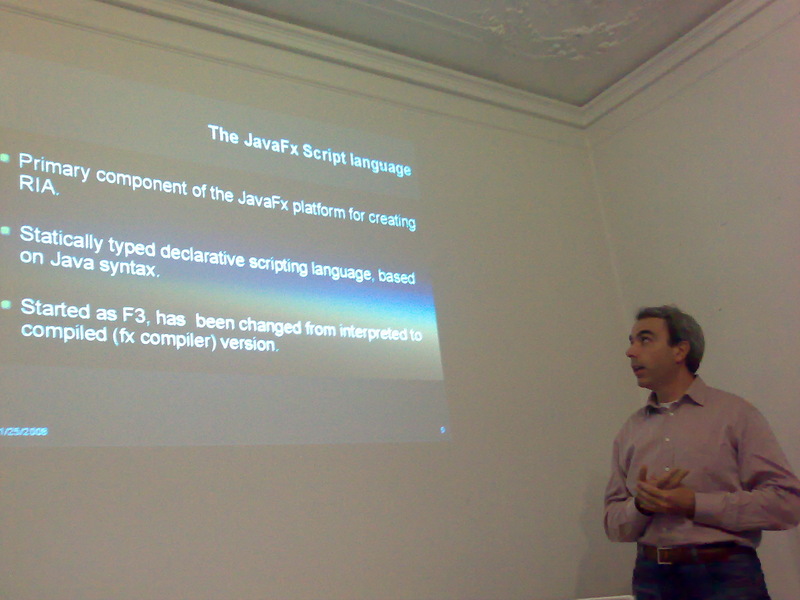 The next meeting of the Genova JUG will take place on the 15th of July 2008 at NIS s.r.l., Corso Torino 14/3, GENOVA (Centro). A discussion of AJAX application development issues and experiences will follow. Participation is free and open to all; if you plan to attend, please register on http://www.jugevents.org/jugevents/event/show.html?id=4574. Note: If you plan to join us for a pizza in a nearby place, please add “(pizza)” to your last name when registering.